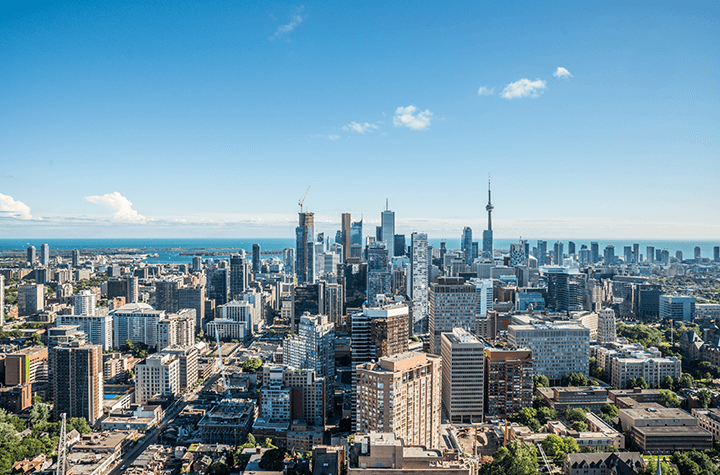 Will Newfound Availability Temper the Boiling Toronto Housing Market? Real estate prices in Toronto have long caused double-takes, but the market’s unchecked momentum has reached its lofty pinnacle in 2017, with the average cost of a home sitting at $916,567, up 31.7 percent from last year. The data comes from this morning’s assessment by the Financial Post. The provincial government recently introduced 16 legislative actions in effort to stem the growth, including a tax on non-residents and foreign buyers. But what might ultimately save the market from skyrocketing costs is a new influx of home on the market, according to the assessment. The Financial Post notes that in April, there were “33.6 per cent more new listings than there were a year ago.” Increases to various dwelling types – detached and semi-detached homes, condos and townhouses, all experienced double digit increases from 2016. Though some speculate the introduction of a new tax on foreign buyers may be the catalyst for the increase in availability, the number of homeowners that have a foreign mailing address falls well below one percent. The actually number of absentee foreign owners is estimated to be marginally higher, but the increase of available homes has grown to a disproportionately greater extent. Interestingly, the sale of homes fell in in April when compared to the previous year, despite the newfound abundance of options. Of course, it’s easy to attribute buyer hesitance, or outright impotence, to the whopping increase in cost of Toronto home ownership. The cause and effect of the sales drop, increased availability and new regulations will be something the provincial government, and financial institutions monitor in the coming months. Data is scarce to this point, but the results from April – at least those pertaining to the availability of homes – offers at least some minor encouragement to hopeful homeowners in and around Canada’s largest metropolis.